Food Truck Festival Starts Next Week! On the first Friday of every month, EC Montreal students will have a chance to enjoy a food festival at the Olympic Stadium. Over 40 food trucks and 3 DJs will be available for the food fans to enjoy! There is no fee to enter the event. This First Friday Food Festival began in 2013. The food trucks had over 50,000 visitors on the first Friday of every month! This year, the event is even more grand with the addition of music and alcohol vendors. Popular Montreal DJs will perform from 4 p.m. to 11 p.m. The food trucks serve a range of food from burgers to gourmet dishes. 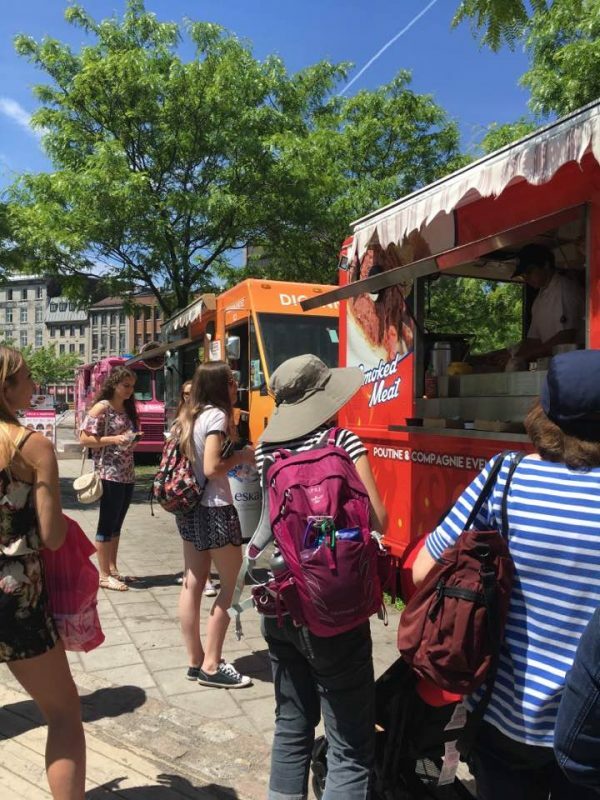 Some of Montreal’s very popular restaurants will be driving up to the Olympic Stadium to serve their dishes from their truck! The Olympic Stadium is located close to the Pie-IX metro station. The first event of 2018 is May 4! We hope to see you there!